"I love to talk about creative ways to help my clients make more money through their event." 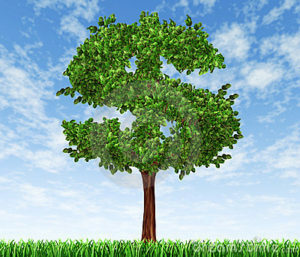 Growing up, one of my dad’s favourite expressions was: “Money doesn’t grow on trees you know!” I told myself that when I became a parent, I would NEVER rant at my kids about money growing on trees. So, instead, I rant at them about how they must think I have a printing press in the basement churning out $20 bills. I also like to toss out the infamous rhetorical question – “Does it look like I won the lottery! ?” The truth is, I love to talk about creative ways to help my clients make more money through their event. And none of my tips involve planting a money tree in the backyard or producing counterfeit bills or investing in the 6/49. Making money is fun and after you establish a clear idea on how much things are going to cost, you can turn your attention to estimating event revenues. A few of the most common revenue streams for events are attendee registration/ticket sales and trade show fees and sponsorships, but there are many other ways to bring in money to offset expenses at your event. Just like variable expenses that fluctuate on a per person basis, some revenues do too. This is why it is a good idea to set revenue targets based on potential attendee turnout - low, average and high. Event revenue from registration fees or ticket sales will vary widely based on the number of people who attend. Are you offering an early bird price and a regular price? Is there a general rate and a student rate? Do you have a two-for-one offer or buy 10 tickets and get two free? All of these things will need to be factored into the revenue side of your budget. This is when your event history can help a lot. Use your historical data or guesstimate the percentage of each type of attendee and crunch the numbers accordingly. For a first time event when there is no past history of participation, you are going to have to research attendance numbers at similar events to try to determine a realistic estimate. Another major source of revenue for events can come from business partners who sponsor and exhibit at your event. It is a good idea to have a sponsorship prospectus that outlines what you have to offer, however don’t be afraid to work outside the box. Most often, sponsors want to find new and creative ways to promote their product and/or service and engage with event attendees. When budgeting for sponsorship revenue, use your event history or guesstimate a realistic amount of money that you can bring in through sponsorship. This revenue will not change based on attendance (unless of course your sponsors bail on you when your attendance number is not what you promised it to be – yikes!). Sponsorship is a whole topic in itself and I am not fully delving into it here. Plus, I am only skimming the surface on ways to create additional funding for your event. There is lots more where this came from in Volume III of my new eBook. Check it out! 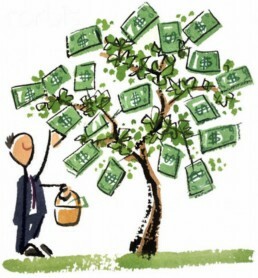 In summary, when all else fails and you are desperate for additional event revenue, you could always try planting a money tree! It never ended up growing in my backyard at home when I was a kid, but you never know …. technology has changed since then.